Netflix announced today launch of a new Smart Downloads feature designed to streamline the process of downloading content for offline viewing. With Smart Downloads, when you finish viewing an episode of a TV show that you downloaded, Netflix will delete it and then automatically download the next episode. Smart Downloads is designed to download content only when you're connected to Wi-Fi so it's not using your cellular data plan. 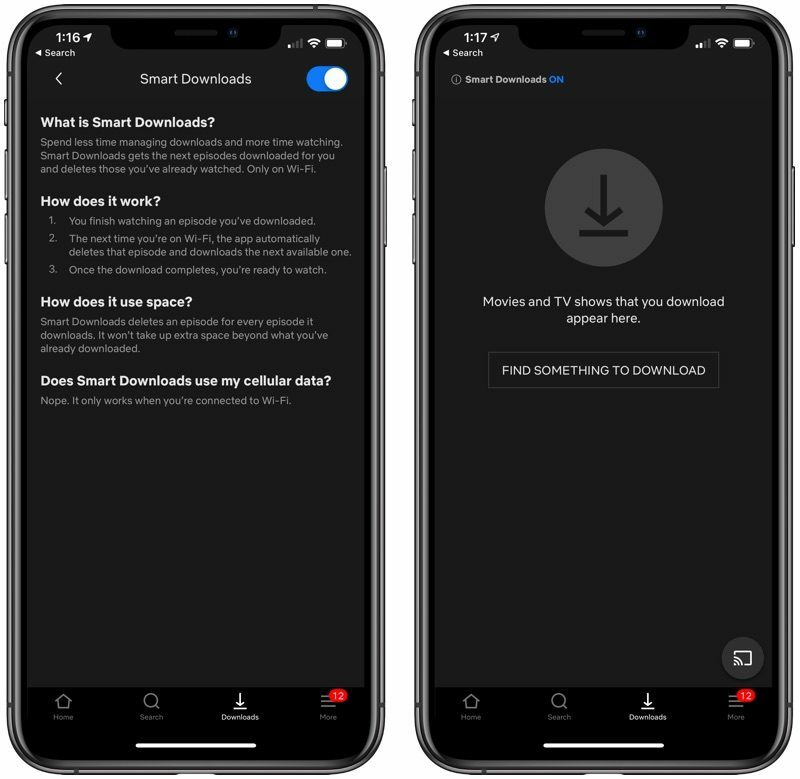 Netflix users can choose to use the Smart Downloads feature, which is available on iOS and Android devices. Turning off Smart Downloads will keep watched content on your device. On iPhone and iPad, you can tap the Downloads icon, choose "My Downloads" and select "Smart Downloads" toggle it on or off.